Want to Sell Your Car, Truck, Boat, ATV or Other Motorized Vehicle? We Turn Your Valuable Assets Into Cash…In 60 Seconds or Less! Want to Sell Your Car, Truck, Motorcycle, ATV, Boat or Other Motorized Vehicle? We Turn Valuable Assets Into Cash…In 60 Seconds or Less! If you are looking for a convenient and efficient way to obtain fair market value our tri-weekly vehicle auction is your solution! Auctions occur every third Tuesday and are regularly attended by 250 – 300 bidders competing for approximately 100+/- vehicles. We are open to the public to maximize competition between dealers and private buyers, increasing sales prices! Please call 516.349.0007 (Mon – Fri; 9 am – 4 pm) or email [email protected] with questions or to consign your vehicle. We look forward to the opportunity to work with you! What is the Cost to Sell my Vehicle at Auction? It only costs $150 to run your car through the auction (less than the cost of a one week classified ad). When your car sells, a sales commission is charged and deducted from the sale proceeds of only $150 for sales up to $10,000. Sales in excess of $10,000 are subject to an additional 2% of the selling price of the amount in excess of $10,000. How Often are Auctions Conducted? Auctions are conducted every third Tuesday. With regular attendance of over 250 potential bidders (private buyers and dealers), maximum competition in a competitive environment ensures top selling prices. Can You Assist me in Determining My Vehicle’s Value? Our knowledgeable team would be pleased to assist you in determining an accurate value and reserve price for your vehicle. Can I Determine the Minimum Acceptable Selling Price? Yes. You may set a minimum acceptable selling price for your vehicle. If the high bid price at auction meets or exceeds this amount the vehicle will be sold on the auction block. 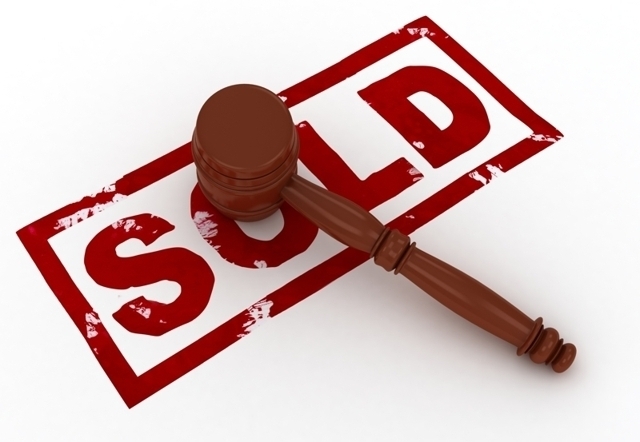 If the high bid is close to the desired price the auctioneer may announce “subject to confirmation” which mean you will have 24 hours to decide whether or not to accept the high bid. If the high bid is not close to your desired reserve the vehicle will become a “no-sale” and you will have the option to rerun your auto for an additional $125 or pick up at your convenience by 4 pm the Thursday following the auction. Who Handles Paperwork Involved in the Transaction? We will assist you with consignment paperwork and handle all transaction related paperwork as well as the collection and remission of New York State sales tax. What Should I Bring to Consign My Vehicle? When May I Drop-off my Vehicle? Consignment drop-offs are accepted Monday through Friday from 9:00 am to 3:30 pm. It is suggested to drop-off your car as early as possible to provide maximum advertising exposure and premium auction placement. I Need to Drive My Vehicle as Long as Possible. When is the Drop-off Deadline? The standard deadline is the Thursday prior to the auction by 3:00 pm. However, for an additional $50, consignments will be accepted on the Friday prior to the auction until 3:00 pm. What are Acceptable Forms of Payment for the Consignment Fee? Cash, cashier’s check and/or postal money orders are the sole acceptable forms of payment. All items should be made payable to “Statewide Auto Auction, Inc.”. How Soon After the Auction will I be Paid? Within 72 business hours following payment for your vehicle. Vehicles are usually paid for by the Thursday following the auction, so payment is typically processed by the Tuesday following each auction. What are Your Fees for Assets Other Than Vehicles, Such as Boats, RV’s, ATV’s? The fees vary based upon size and value. Please call 516.349.0007 for additional information. I Thought You Only Sold Bank Repossessed, Bankruptcy, Off-Lease & Seized Vehicles? We have received numerous requests from private potential sellers over the years to sell their vehicles. The recent expansion to our Central Islip facility has provided us with 250% more space and the opportunity to roll-out this highly requested consignment program. We are pleased to currently offer anyone with the opportunity to capitalize on our efficient sales process! Can you Tell Me More About Your Company & Experience? Over the past 35 years our auction team has built a conglomerate with seven auction divisions (including our Auto Auction Division) and over $100+ million a year in sales. We pride ourselves on professionalism, integrity and success which continues to provide us with the repeat buyers and sellers that have allowed our business to thrive.